New cars are getting more expensive, but consumers tend not to back away from pricier models and options when they encounter those higher sticker prices. Kelley Blue Book recently reported the estimated average transaction price (ATP) for new cars and trucks in April was $33,560, up $836 from a year ago and up $195 from March. That was in large part because consumers bought more expensive vehicles. "Prices were up across most of the industry, but we are seeing some of the greatest increases in the truck segments," Alec Gutierrez, senior analyst for Kelley Blue Book, said last month. "Full-size trucks were particularly strong, up 4.5%, while mid-size trucks were up 3.5%. Incentive spending on trucks also has been lighter this year, indicating a great market for these units right now." To pay for these more expensive cars and trucks, consumers are extending their payments beyond what has been customary in the past. Experian Automotive reports the average loan term for new and used vehicles rose by one month in the first quarter of 2015, reaching new all-time highs of 67 and 62 months, respectively. Traditionally, vehicle buyers have made hefty down payments – as much as 20% of the purchase price – and financed the balance for 4 years, or 48 months. But a growing number of buyers find they are unable to stick to that formula when buying a vehicle costing what a small house did just a few decades ago. But suppose you wanted to pay $33,000 for a vehicle and pay it off in 4 years, with a 20% down payment. You would need to come up with $6,600 in cash and/or trade in. That leaves a balance of $26,400. Financed for 48 months at 3% interest, the monthly payment would be $584.35, stretching the budgets of most consumers living paycheck-to-paycheck. To be able to purchase a more expensive vehicle but keep monthly payments lower, consumers are increasingly opting for longer loans. Findings from the Experian Automotive report also showed that longer loans, those with terms lasting 73 to 84 months, made up a record-setting 29.5% of all new vehicles financed. That's up 18.6% from the first quarter of last year and is the highest percentage on record. Consumers buying used cars also shattered records when it comes to the length of car loans. Loans stretching 73 to 84 months made up 16% of all used car financing in the first quarter, up from nearly 13% in the same period of 2014. 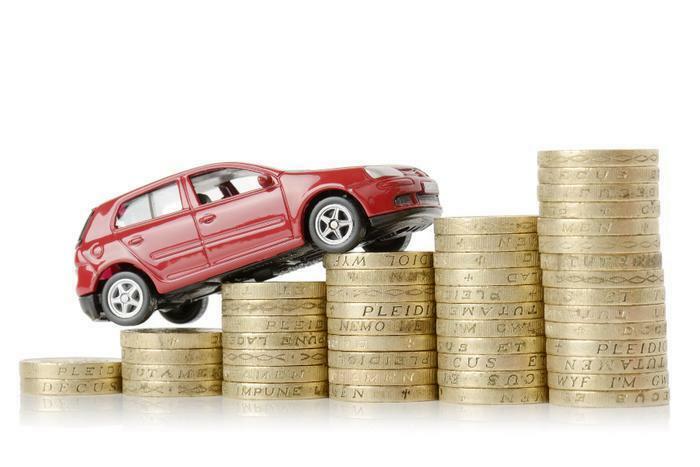 Even though vehicle buyers are staying in debt longer, the trend may not be that costly. If auto loan rates were at levels of the early 2000s consumers could pay hundreds, maybe thousands in additional interest over the life of the loan. With the current low rates, the extra interest charge is much less. But here's a caveat. Zabritski says if consumers take out extra-long car loans, they need to keep the vehicles longer than just a few years. If they decide to trade in too soon they could owe more than the vehicle is worth. More consumers are dealing with rising vehicle costs by choosing to lease. In the first quarter of 2015 leases rose from 30.22% of all new vehicle financing in the first quarter of 2014 to 31.46% in the first quarter this year. At the same time, the average monthly lease payment dropped to $405, down from $412 the previous year. It was also easier to qualify for a lease, as the average new vehicle lessee had a credit score of 718 in the first quarter, down from 721 the previous year. Of course, there are several ways to avoid a 6- or 7-year car payment. The most basic is: Don't spend $33,000 or more on a vehicle. In the used marketplace a low-mileage 3-year-old model will have a sharply lower sticker price than the comparable new model. Even in the new car market there are plenty of attractive vehicles that cost much less than the current average transaction price. Here are some lower-priced options you might want to consider.